or do you want to stand by? The choice is yours!" A small group of extremists wants to introduce patrolled Sharia zones in Denmark. 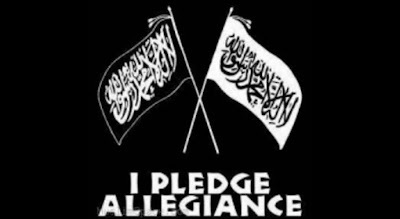 A Danish group of Salafists calling themselves “Call to Islam” (Kaldet til Islam) plan to introduce round the clock patrols in Sharia zones they introduce in Copenhagen, and eventually other areas of Denmark, along the lines of a similar group in the United Kingdom. According to Jyllands-Posten, Call to Islam plans to introduce Sharia zones – initially in the Tingbjerg suburb of Copenhagen, then in other areas of Nørrebro and eventually in other areas of Denmark. In its zones, patrols will approach those who drink, gamble, go to discothèques or engage in other activities seen by the group as running contrary to Islam. The Muslim Joint Council (MJC), which is an umbrella organisation for Muslim associations in Denmark, has condemned the plans for Sharia zones. “We should not be blind to their extremism in our society,” MJC Spokesman Mustafa Gezen tells Jyllands-Posten.